After 10 years of excavations, is opened in 2014 the wide archaeological area located in the Val d’asso. 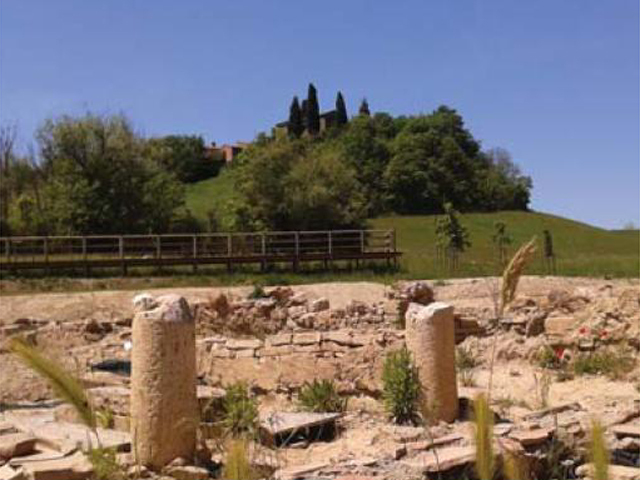 In the village of Pava, Department of historical and cultural heritage of the University of Siena has started since 2004 archaeological excavation of a large complex in the area where you identify the Church of s. Pietro in Pava (baptisterium Sancti Petri in Pava) stated in documents Lanier from the year 714. But since 2000 the Archaeological Researches in the Valley of the ACE began making the area a very intense investigations area over which a scale to increase research intensity and simultaneously the soundness of data useful for the reconstructions of ancient settlement.